Rat skeletal muscle TnI ELISA kit instructions. Troponin is the contractile regulating protein complex of striated muscle. It consists of three polypeptides: troponin-I, troponin-C, and troponin-T. Three troponin-I isoforms are expressed; one each in fast-twitch and slow-twitch skeletal muscle fibers and one in cardiac muscle. Following muscle injury troponin-I is released into the blood. It therefore serves as a good biomarker of muscle injury. 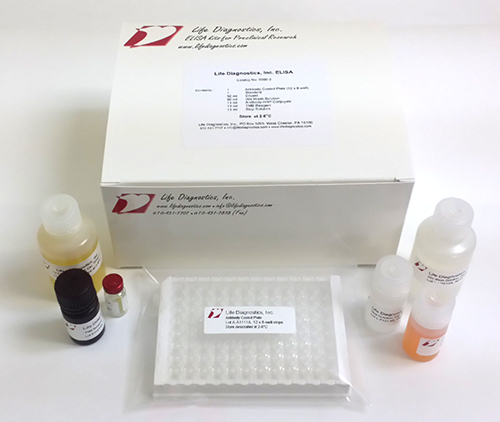 This ELISA kit is specific for the fast twitch isoform of troponin-I and can be used to assess skeletal muscle damage. You may also be interested in our skeletal muscle troponin-C ELISA (STNC).